Your kitchen isn’t the only place in your home that can be transformed by a coat of paint and some new tiles. Your bathroom should be of equal importance to the rest of your rooms when it comes to making your home a welcoming space. In past generations, bathrooms have consisted of the same 4 things – a sink, a toilet, a shower or bath, and a medicine cabinet. 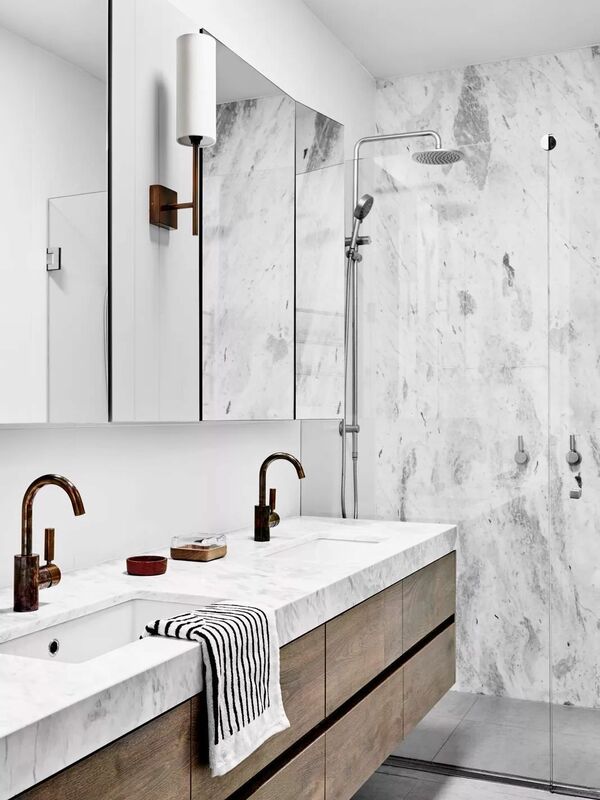 However, that simple structure has gone out the window in recent years, leaving endless options for how to convert your bathroom into a beautiful, yet functional, space. 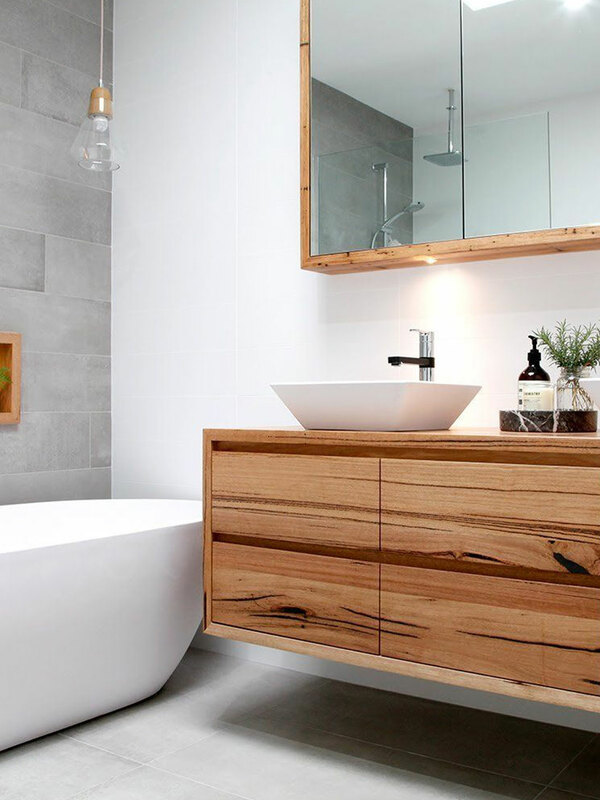 Here are some of our favorite creative ways to renovate, and upgrade, your existing bathrooms. A recent trend in interior design is floating shelves. 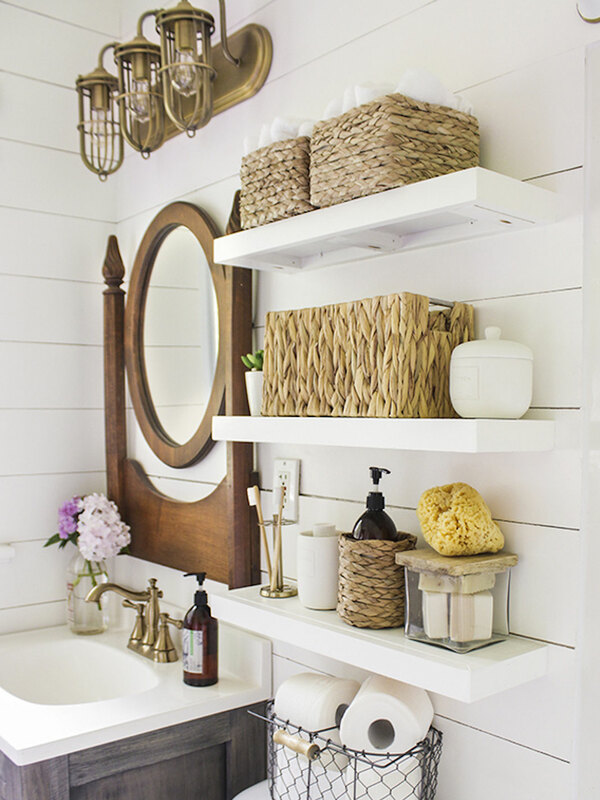 They give the room a sleek, airy feel while not minimizing the storage component obviously required in bathrooms. And not only does it open the room up for a larger feel, but it also helps bring your style together as a whole. In past decades, people used wallpaper to create a bright and vibrant atmosphere in their rooms (did someone say florals?) 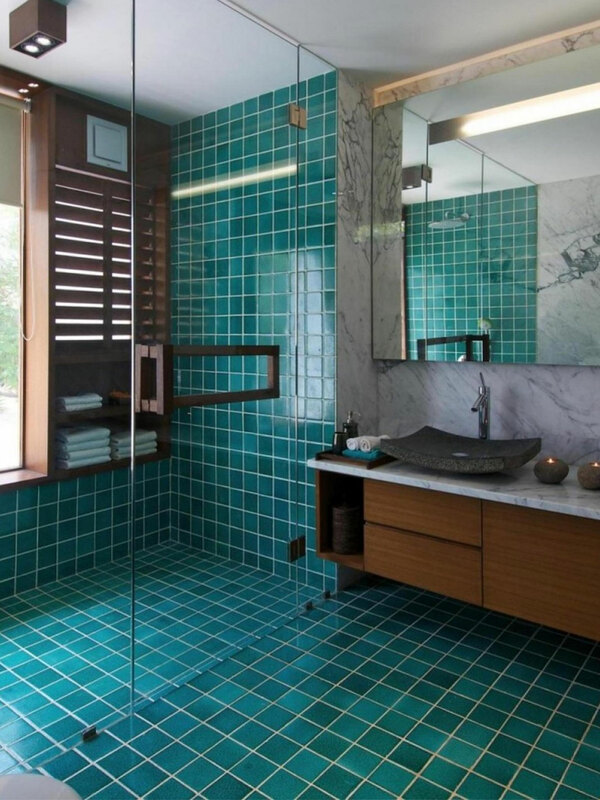 but now, patterned tile is all the rage! 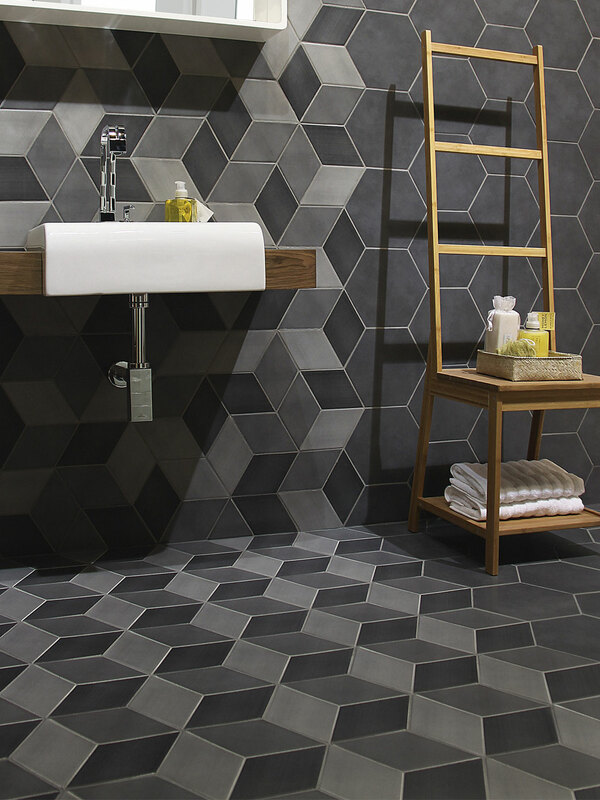 Whether you use it for your bathroom floors or in your shower as an statement piece, bright and bold shaped tiling can take any bathroom to the next level. Floating cabinets are a great way to make your space feel more open, no matter what the size of your bathroom. They are both functional and aesthetically pleasing which elevates the design of most standard bathrooms. Plus, floating cabinets tend to give you even more options for design and additional storage – allotting for things like baskets and more shelving down below. 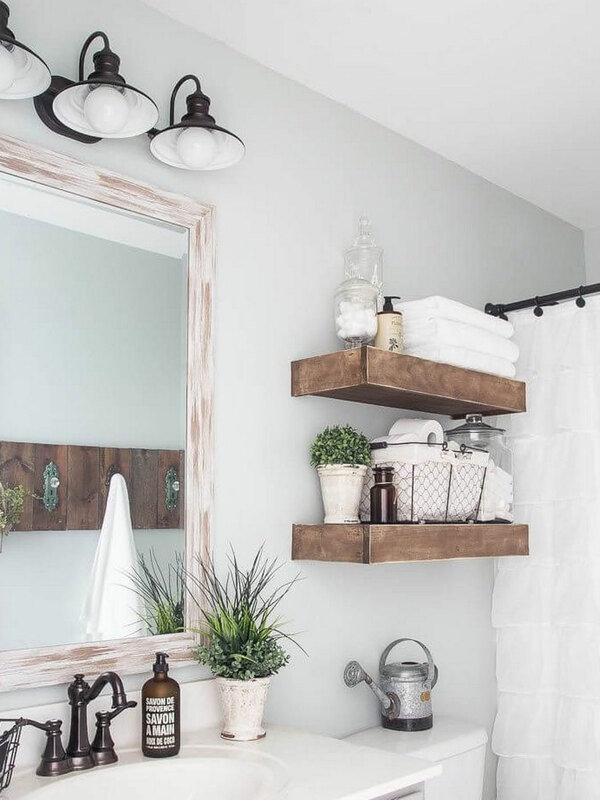 Making these changes to your current bathroom design really can elevate your entire home and give your space a fresh, updated feel. The best part? CRS can help you take it there! Did we mention it’ll only be a fraction of the cost of those other guys? Which means more money in your pocket to fix up other areas of your home! Call CRS for a free quote and see how you can utilize all our services during your bathroom renovation project!